Drivers who use marijuana are far safer motorists than those who consume alcohol. 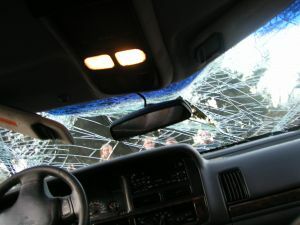 That’s according to the Drug and Alcohol Crash Risk study conducted by the National Highway Traffic Safety Association’s Office of Behavioral Safety Research. This is not to say driving impaired is necessarily safe under any circumstances. It’s true marijuana is known to impair psycho-motor skills, divide attention and impact cognitive function. But despite marijuana being the most frequently-detected drug (aside from alcohol), it was cited in relatively few crashes. The administration noted a 2014 study that found no increased risk of crash for drivers who tested positive for THC, the primary psychoactive substance in marijuana. In the administration’s own study, it was revealed after adjusting for gender, age, alcohol use and race, motorists who tested positive for marijuana were no more likely to be involved in a crash than those who had not used any alcohol or drugs prior to getting behind the wheel. Meanwhile, the risk of a wreck after consuming alcohol at a rate resulting in a blood-alcohol concentration of 0.05 or higher increases by nearly 700 percent. Our cannabis DUI lawyers recognize part of the reason for the disconnect has to do with the way in which the drug is measured in the body, as compared to alcohol. A person with a measurable amount of THC in their system does not necessarily correlate with intoxication the same way blood-alcohol concentration does. So when police detect the presence of alcohol in a person’s blood, breath or urine, it’s all but certain that person recently consumed alcohol. The higher the concentration, the more the person recently drank. But with marijuana, traces of THC can remain in a person’s system long after consumption, even though any intoxicating effects would wear thin in a few hours. A person with a medical marijuana prescription might have a high level of THC due to ongoing heavy use, but that is not necessarily an indicator of impairment. Another reason we may be seeing such a major difference in crash rates between drinkers and smokers is that marijuana can effect individuals differently, depending on their chemical makeup. So one person may be able to consume larger amounts of cannabis and show no apparent impairment effects, while another who consumed the same amount might become highly impaired. Alcohol, on the other hand, tends to effect people pretty consistently, regardless of chemical makeup. A number of states have passed laws that seek to define what it means to be a driver impaired by marijuana. For example, in Colorado, police can make an arrest for impaired driving if the measurable THC in one’s blood is 0.5 nanograms per millimeter or higher. But again, this is problematic because it doesn’t reveal anything about a person’s actual fitness behind the wheel. So what we are seeing in these places are states that are, in some cases, arresting and convicting people of impaired driving when, in fact, these individuals are totally sober. A second study released by the NTHSA at the same time as the crash risk study reveals a large increase in the number of nighttime drivers who test positive for THC. In 2007, it was 8.6 percent. In 2014, it was 12.6 percent. There is no question this information is going to be exploited by opponents of marijuana legalization to scare people into believing these individuals pose a serious threat on our roads. In truth, the only thing the second study tells us is more people are using marijuana in the days or weeks before they get behind the wheel. This is not surprising whatsoever, given the increasing number of states that are decriminalizing or outright legalizing the drug. So again, it’s not that smoking a joint while driving is safe. It’s not, and if you are truly stoned behind the wheel, there could be serious safety implications. However, to assume that just because marijuana is present in one’s system that he or she is unfit to drive is both inaccurate and hugely unfair to responsible users.